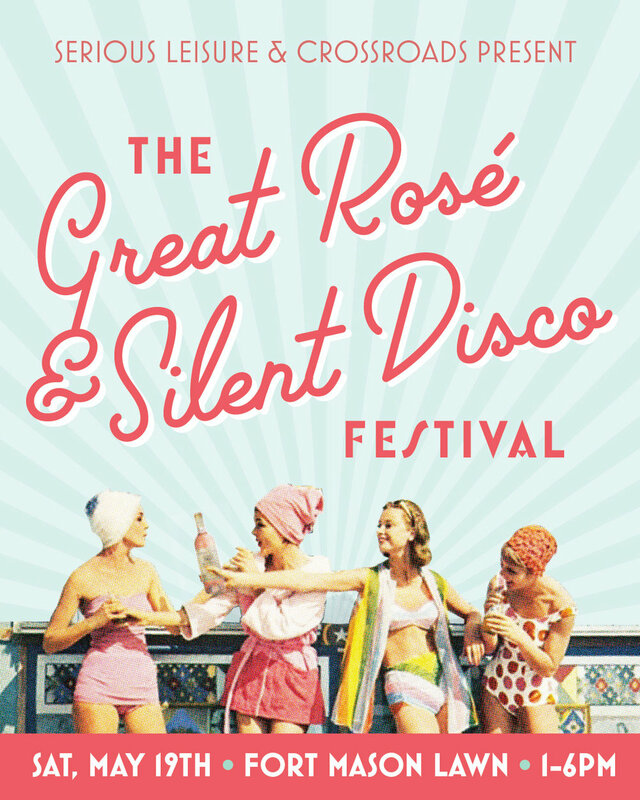 Join us to sip and savor rosé from around the world at the city's largest outdoor silent disco music festival dedicated to rosé! Enjoy tropical fare by Palm House and indulge in The Dorian's famous frosé. Surrounded by insane views of the Golden Gate Bridge and Marina. Paralleled with good vibes, eat, drink and enjoy entertainment spread across "The Lawn" at Fort Mason. Rounding out the festival is a diverse lineup of talented DJ's that will keep you dancing, jumping and swaying with pink in hand. And if somehow rosé isn't your thing, don't worry, there will be a full bar there too! So don your best pink and white clothes and celebrate all that is rosé with us!